I was quietly thrilled (in my totally undemonstrative way) to find an exhibition of Keith Arnatt (1930-2008) at the Sprüth Magers gallery in Grafton Street yesterday. Long a favourite of The Eyeball, I can only hope this show leads to more recognition for this under-appreciated artist. The paradox is that Arnatt is under-appreciated and over-appreciated at the same time. 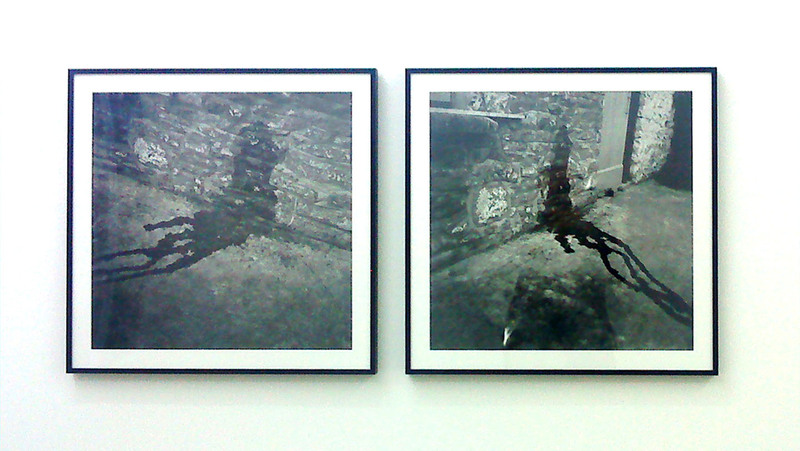 The central theme of his work in this show is the question of how to remove himself from the work. 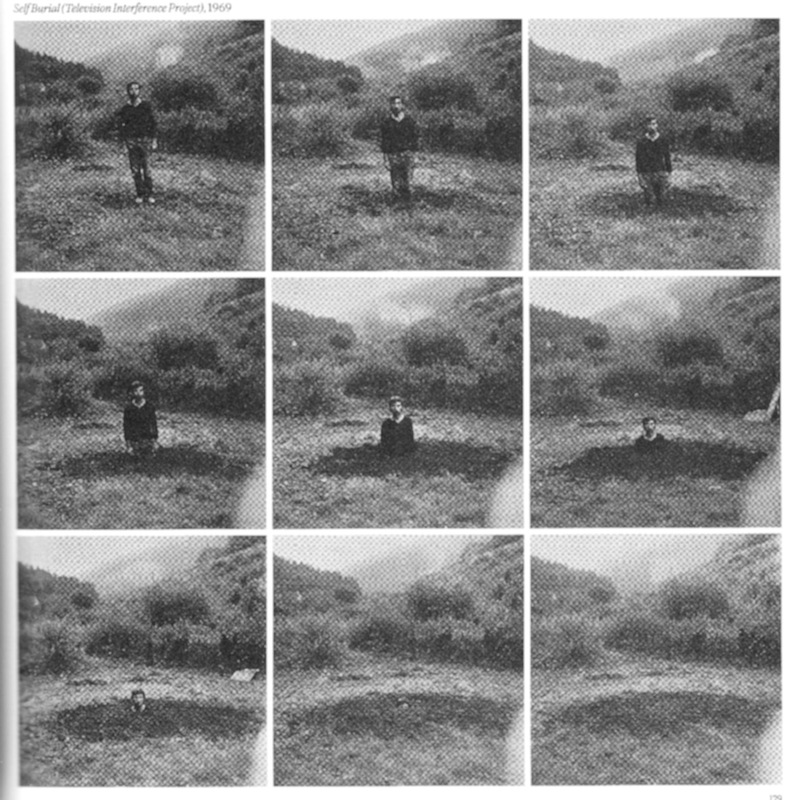 His signature piece Self Burial (1969) is on show alongside The Absence of the Artist (1968) and Portrait of the Artist as a Shadow of his Former Self (1969-72). The more he fights against the cult of artists’ personalities, the more he builds his own. Or at least fascinates by enigma of his withdrawal. This uncomfortable conflict and the sceptical, sardonic tone of Arnatt’s work anticipates Punk and its iconoclastic battles with the Music establishment a few short years later. But Arnatt is not posturing – his work is genuinely self-effacing as well as self defacing. He could find, indeed actively sought, subject matter in the slightest or most benighted places. 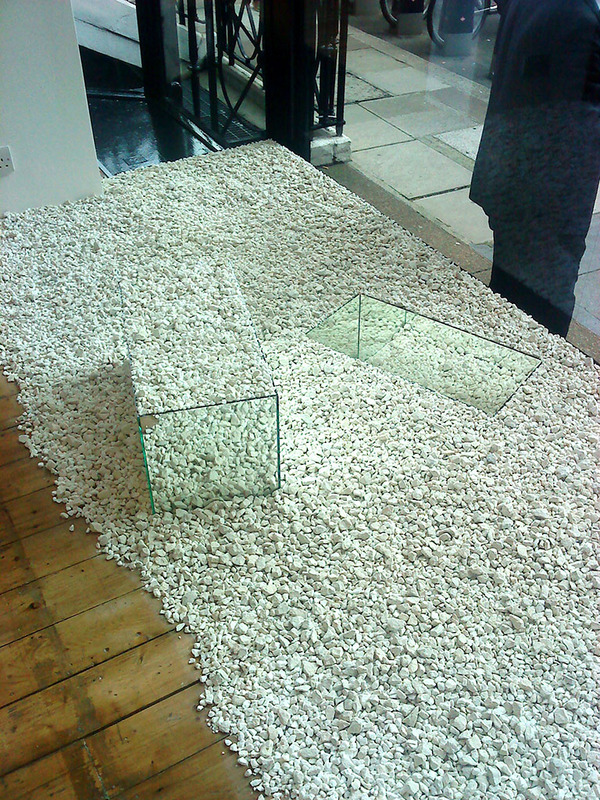 From conceptual denial (Is it Possible to do Nothing as my Contribution to this Exhibition) to his Artist’s Piss. The latter surely an acerbic response to the discreet continental poetry of Piero Manzoni’s Artist’s Breath. The gallery itself is understated – not too large, or pretending to be a museum. When I have been in the past it has been showing other minimal and sometimes quite difficult work in an approachable and sympathetic environment. Which is rare. I went into the gallery looking for Keith Arnatt. He wasn’t there, but actually… he was. This entry was posted in British, Conceptual and tagged 1960s, 1970s, Art, Arte Povera, British, Conceptual Art, Galleries, Keith Arnatt, London, Mayfair, Photography. i like that Self Burial. Great idea. Absolutely – it’s one of my favourites!